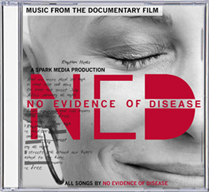 No Evidence of Disease DVD — N.E.D. 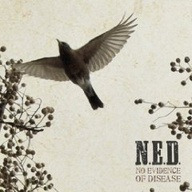 No Evidence of Disease (N.E.D.) follows an unconventional rock band made up for six GYN surgeons, each passionate about music and each outraged by the wall of silence surrounding their field. The band's name comes from the words every patient dreams of hearing: "No Evidence of Disease." As music and medicine join forces in the fight for life, our surgeons are transformed into rising rock stars, while their patients and loved ones jump on the train, infusing the struggle for survival with heart, hope and rock 'n' roll.